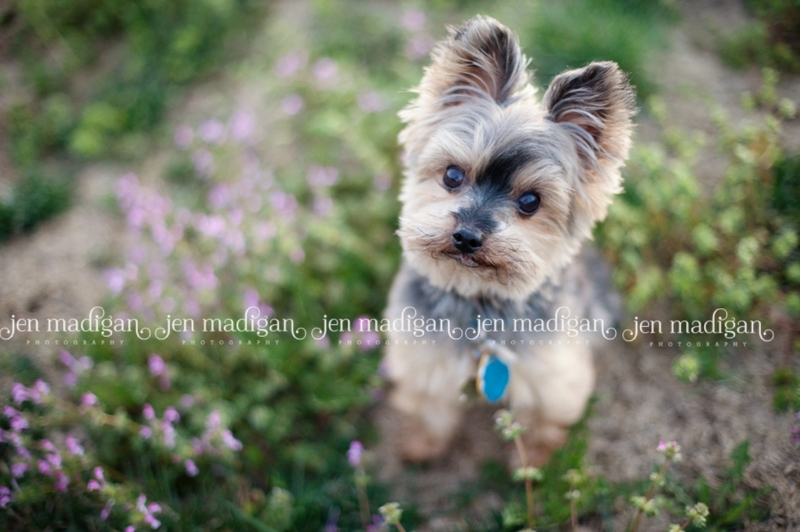 Jen Madigan Photography - Mentor, Ohio Lifestyle Photographer: National Puppy Day! To be honest, I didn't even know there was a National Puppy Day until I saw it on Boo's (World's Cutest Dog...*however, I beg to differ*) Facebook status. Why do I follow a dog on Facebook you ask? Well someone has to keep eyes on the competition (and Einstein hasn't really mastered the internet, or a keyboard - no thumbs)! So, to celebrate National Puppy Day, I thought it was only appropriate to post a new photo of Einstein. Hope you guys are having a great Friday, have a fabulous weekend! March Special for New Clients!